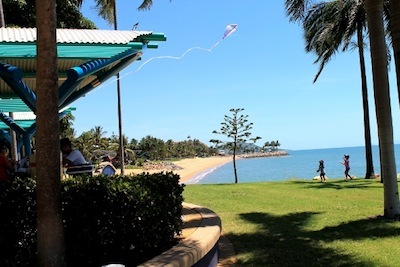 The Strand lies at the end of Gregory Street in Townsville, Australia’s suburb of North Ward. 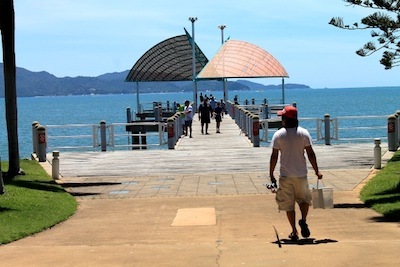 The area was developed after Tropical Cyclone Sid severely eroded the foreshore in January of 1998. The attractions start with a marina and follow on to a waterfall, the Tobruk Memorial Baths, playgrounds (including a water feature), barbecues for public use, picnic tables with ample shade, plenty of grassed areas, safe swimming, a white sand beach, a pier great for fishing, and a seawater man-made lagoon, along with a good selection of cafes, bars, and restaurants. All of this is accessed via a tree-lined walking path that runs the full length of this great family-friendly zone. Every weekend you will find it packed with families celebrating an event or just getting together for some fun and relaxing under the myriad of large shade trees. 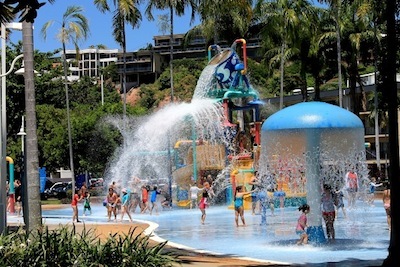 The water playground is a big hit with kids young and old, especially the giant tipping jug. The yachting club holds regular events on the beach, creating a colorful sight as you look out to Magnetic Island in the distance. 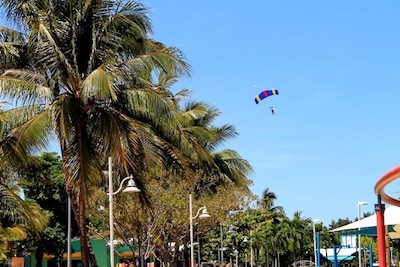 Tandem skydivers land on the beach, dropping out of the deep blue sky on the odd occasion. 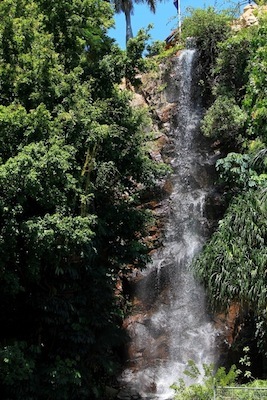 The path is popular with people exercising or just taking a leisurely stroll; either way the energy of the area is refreshing and uplifting — a must to experience on your visit to Townsville.